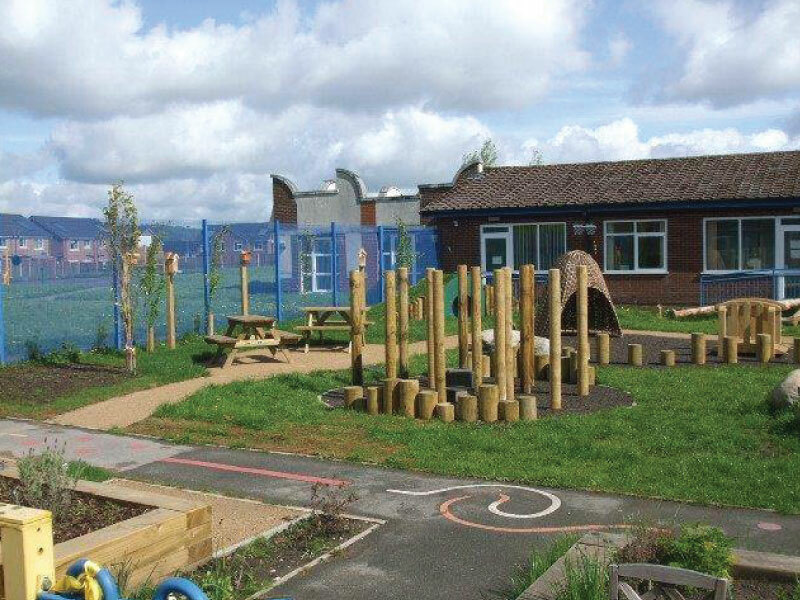 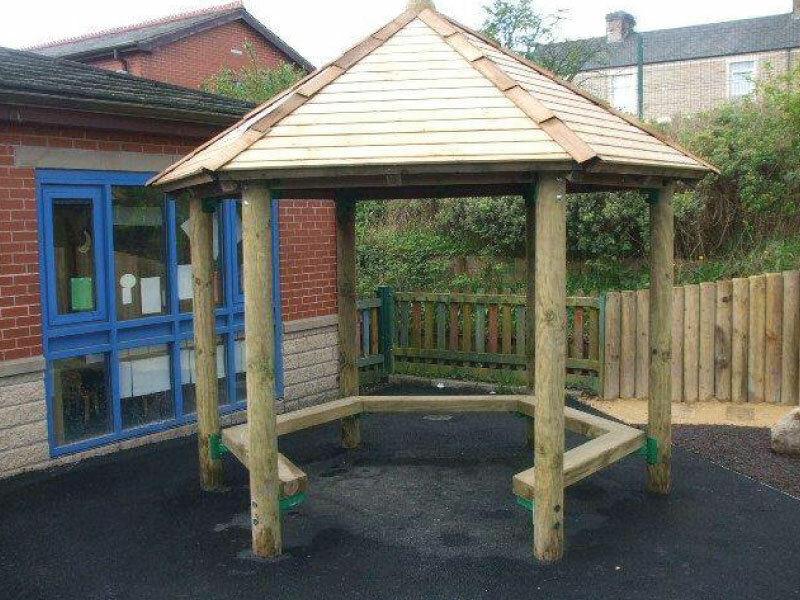 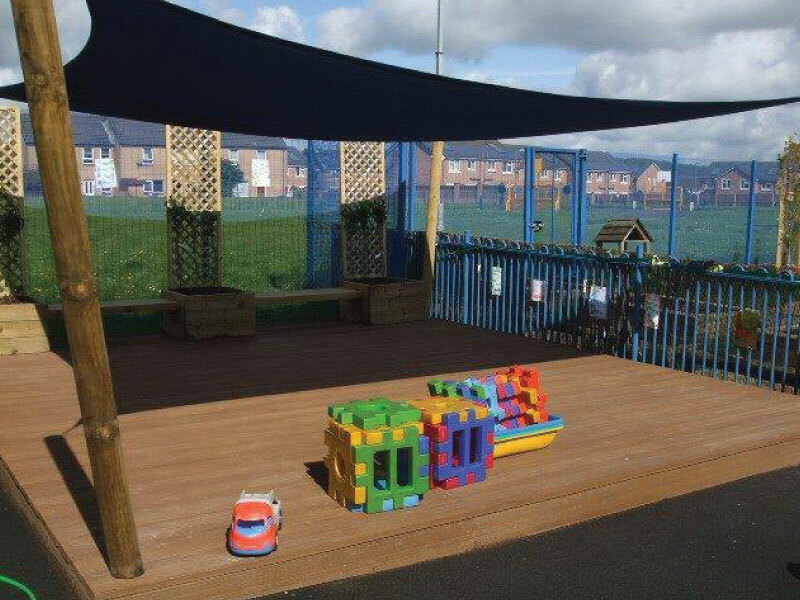 We transformed this bland outdoor space into a fantastic sensory area that children of all ages and abilities can enjoy. 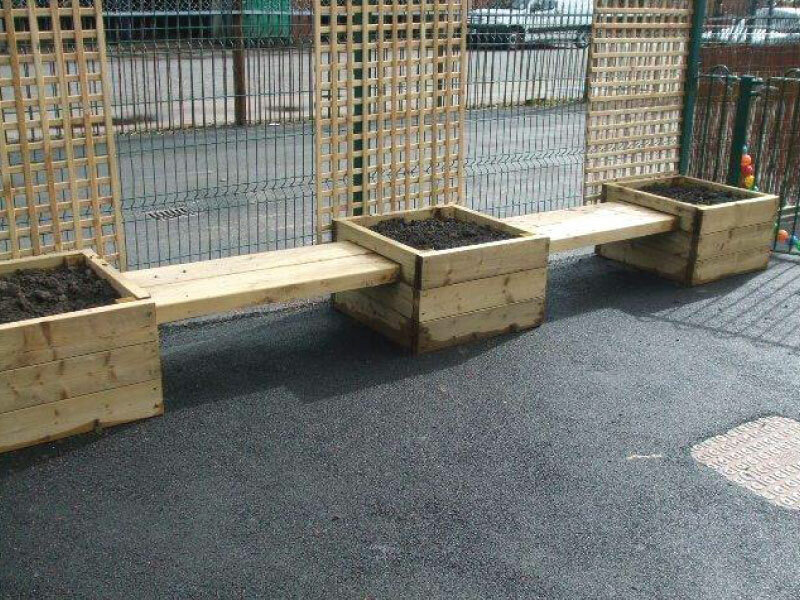 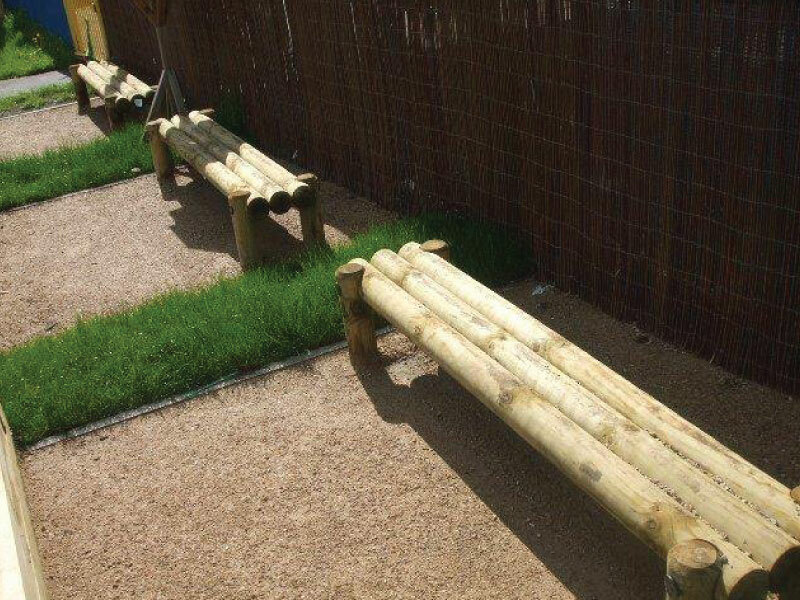 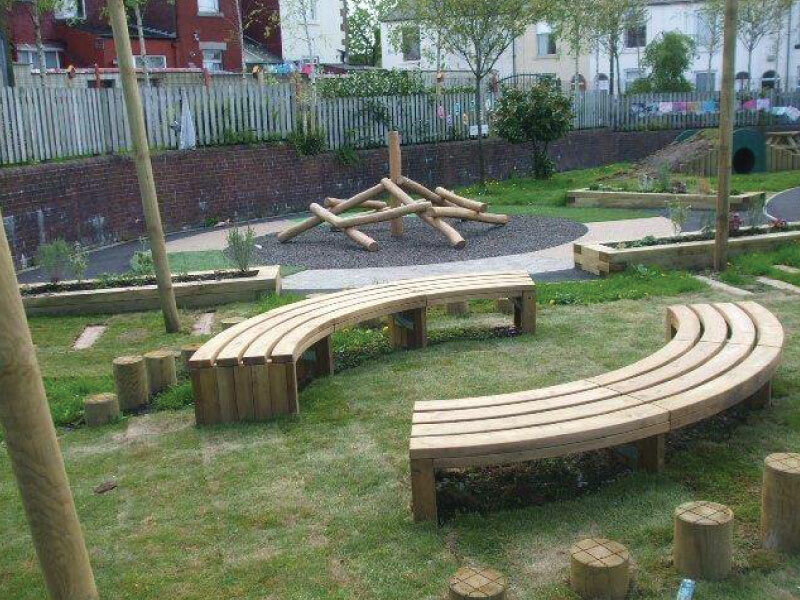 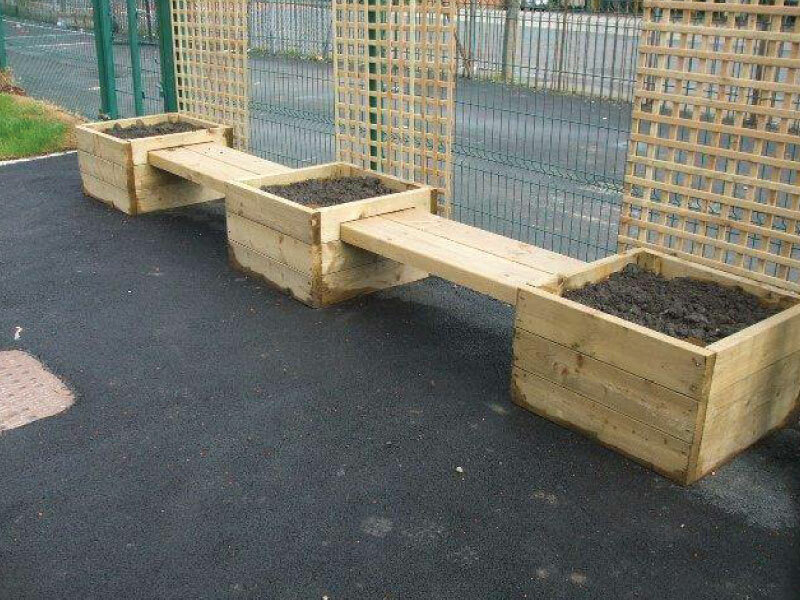 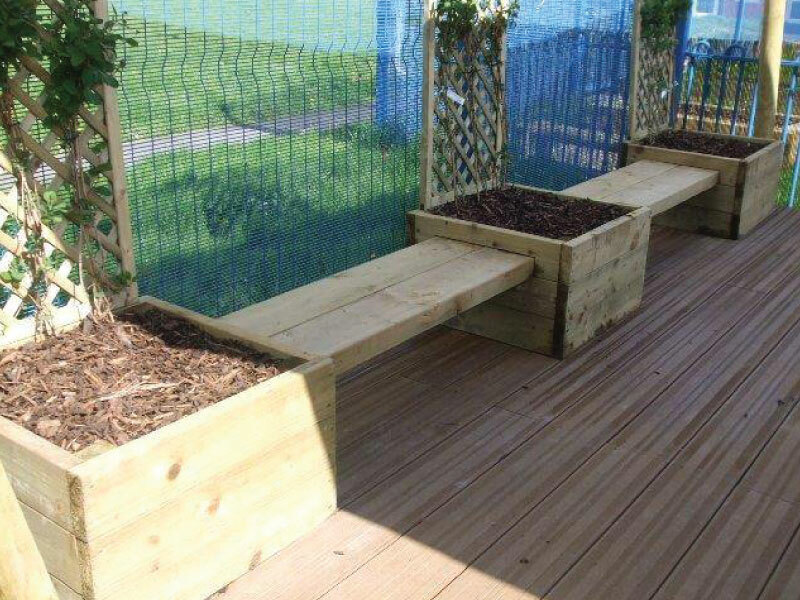 There are opportunities for children to sit and socialise with friends while enjoying observing the growing plants incorporated into the seating. 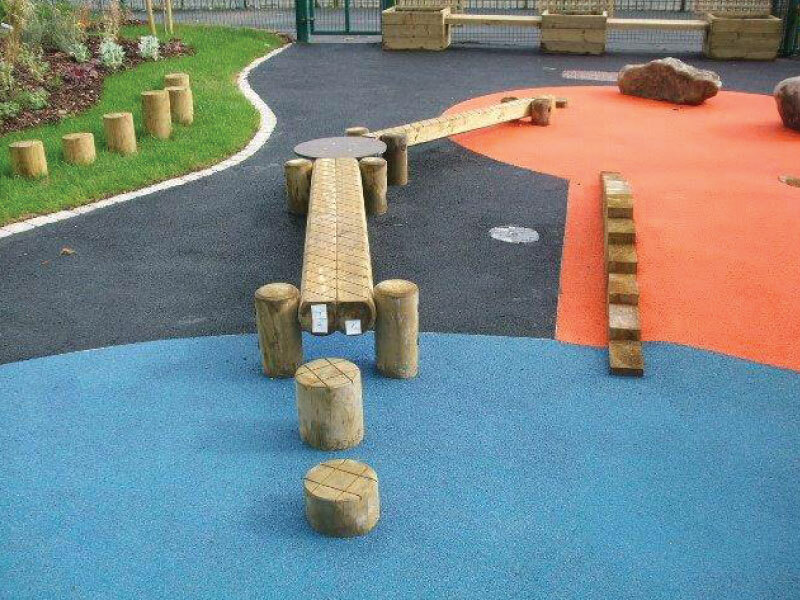 Children can work on their strength, coordination, blanace and agility by using the mini trim trail, log steps, tunnel and climbing frame. 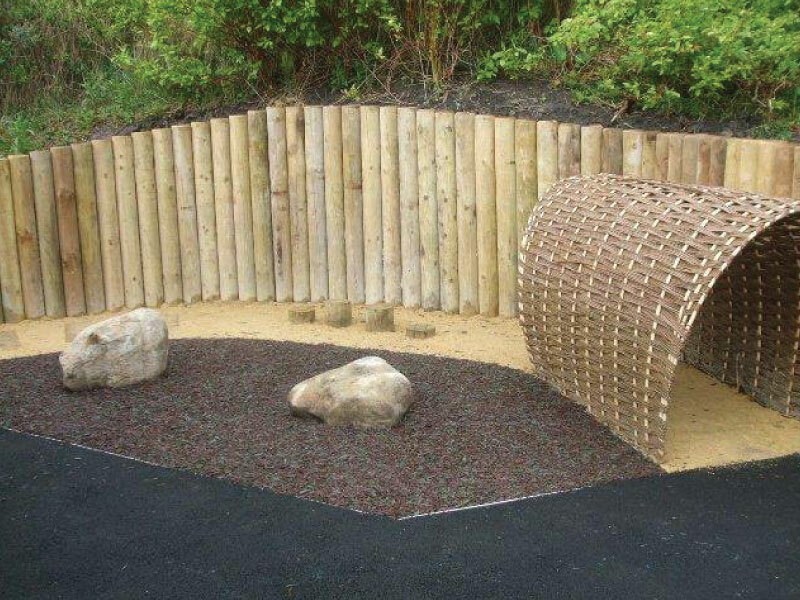 Children can also take part in role play games, inspiring their imaginations using the staged area, story telling corner and willow tunnels. 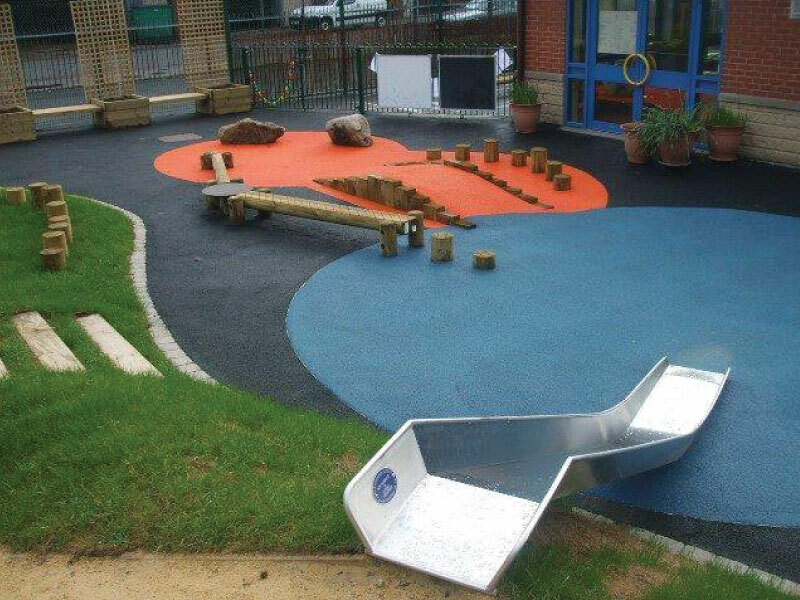 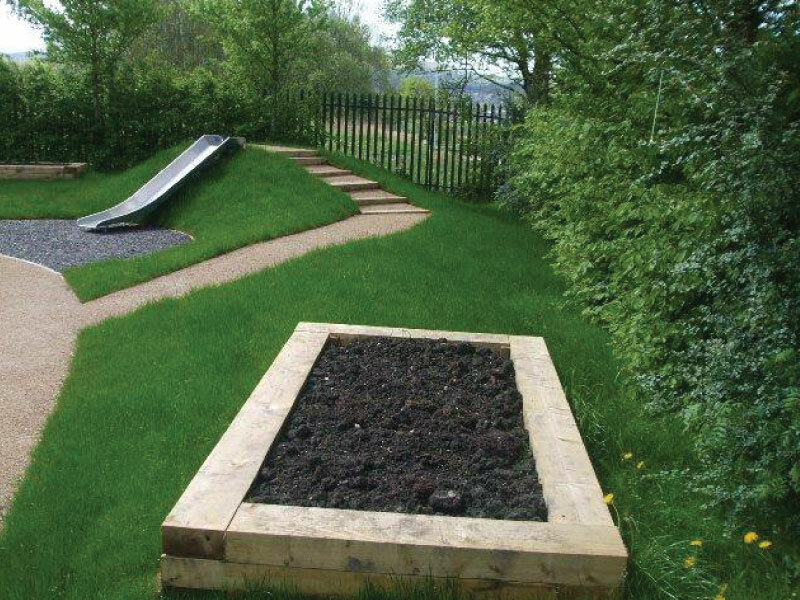 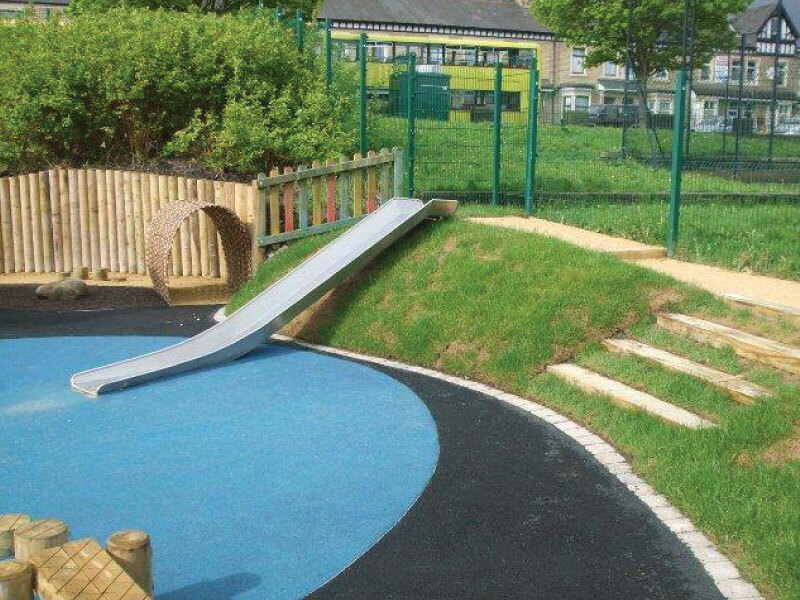 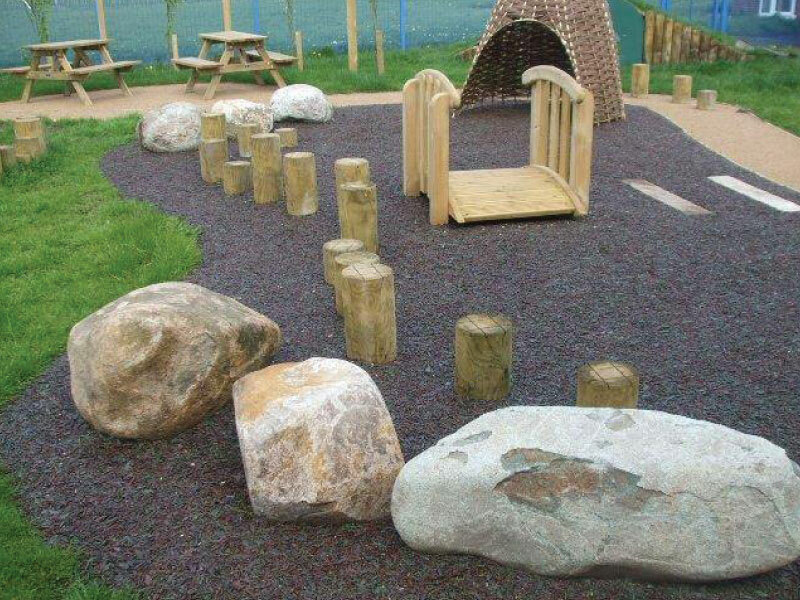 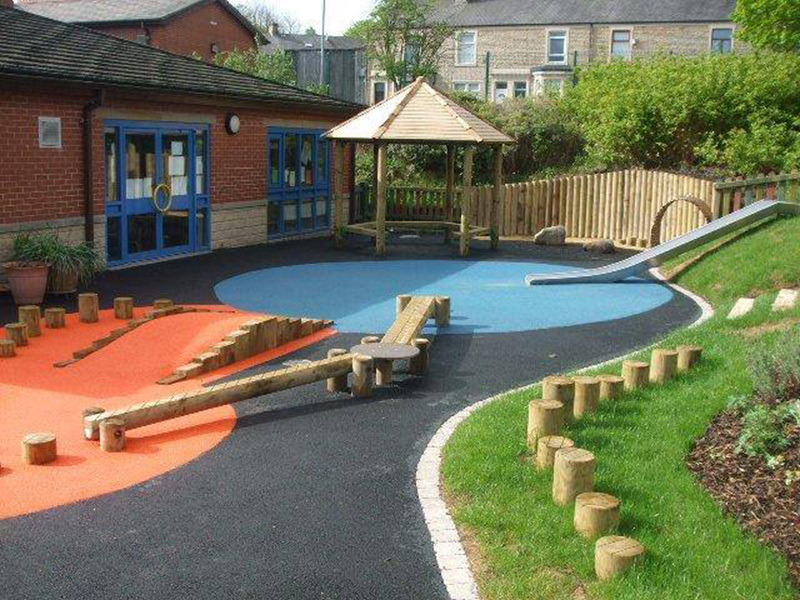 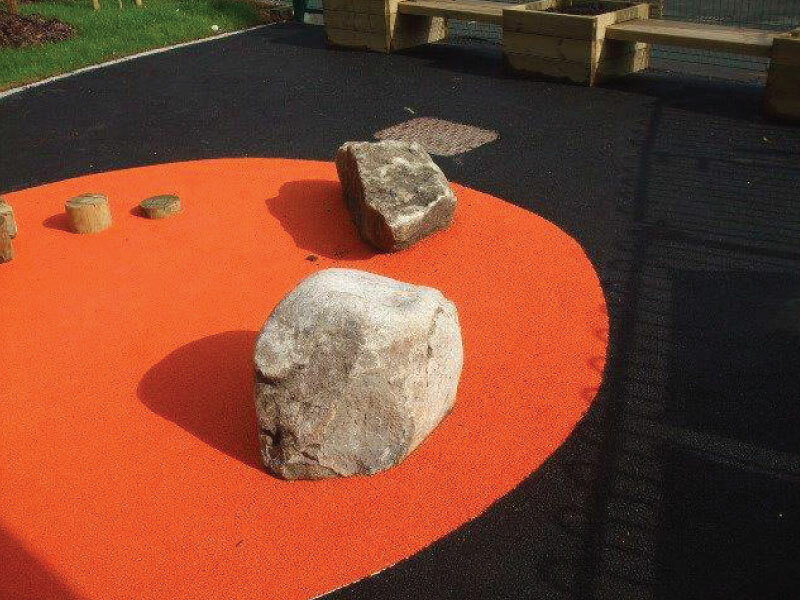 The use of different materials provides an extra element to the sensory area, provides children with different textures, colours and movement of the surface underfoot! 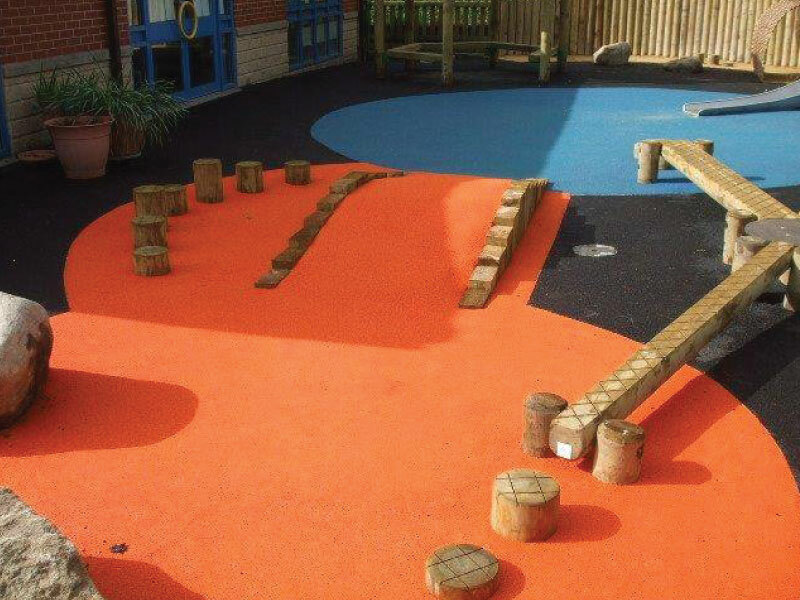 "The use of different materials provides an extra element to the sensory area, provides children with different textures, colours and movement of the surface underfoot!"